I attribute my success to “Passion”. My passion has enabled me to stay dedicated and committed to a most fulfilling and rewarding career of over 30 years consulting the traveling public. I have had the good fortune of traveling to over 40 countries and truly believe that “Travel is a university without walls.” As Saint Augustine once said “The World is a book and those that do not Travel read only one page.” Travel provides an enlightenment that gives to a much broader perception and ignites positive change. It sometimes can be leaving our comfort zones we have become so accustomed to. I can honestly say “Travel” has left a huge imprint on my life and left me with many cherished memories and it is the very reason I could only wish others the opportunity to experience the same. 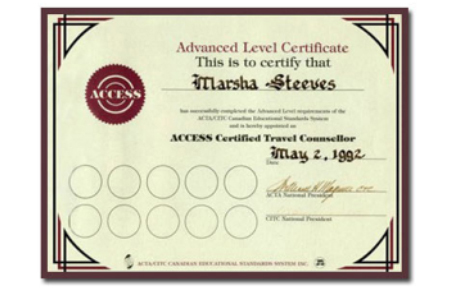 My travel credentials I hold with Nationwide Travel College, ACTA/CITC. Wedding Planning with WPIC. I find great satisfaction in using my skills of qualifying my clients and matching them to that perfect destination experience. 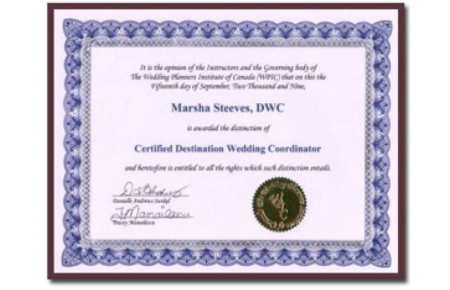 Whether it’s a destination wedding or a honeymoon, I endeavor to always provide the highest level of service and expertise. 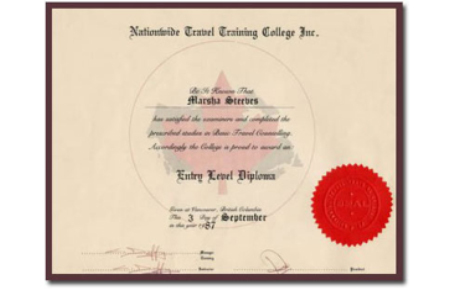 Another passion has been working with the local Travel and Tourism College, where I occasionally speak in class and sometimes for graduations. I find it very rewarding to share and to inspire the upcoming graduates. To try to help them to find their passions so they like me, will never have to work a day! To try and breed in good work ethics and get them onto a platform of success! I also manage to get a bit of time to write in travel/wedding publications, offering informative and fun tips or showcasing my destination weddings. Being familiar with our destinations and resorts is key in enabling us to recommend to our clients the appropriate destination experience. Through these familiarization trips and hotel in-spections we are able to experience the product first hand, keep updated, while securing business relationships. Ultimately paving the way for you to arrive in style and receive a bit more of that special attention! Costa Rica – Liberia – Familiarization Travel Agents Inspections – 5 Nights stay at Secrets Papagayo & 2 Nights stay at Dreams Las Mareas. Cancun – Playa Del Carmen – 7 nights Azul Beach Five Resort – To oversee a Wedding. Cabos San Lucas, Mexico – Dreams Los Cabos 3 nights – Overseeing a wedding. Then Riu Palace 2 nights and Hyatt Los Cabos 2 nights. Riviera Maya, Mexico – Karisma Awards Show and Annual Conference. El Dorado Maroma and inspection of first overwater Bungalows in Mexico! El Dorado Royale stay. Inspection at Azul Five. Whistler – Nita Lake Lodge, and Scandinavia Spa. New Brunswick – Moncton & Shediac , Nova Scotia – Parrsboro. Riviera Maya “Moon Palace – Global Conference & Award show”. Royalton/Hideaway Resort Inspection and stay. Half-moon Bay B.C – Rock Water Secret Cove Resort – inspection. Great for a Mini moon or intimate wedding group of 40 or less – “Luxury Tent house” a must! Mayan Riviera, Mexico. Executed our Wedding Concierge for a Sikh Wedding at the Moon Palace Resort. Turks & Caicos. 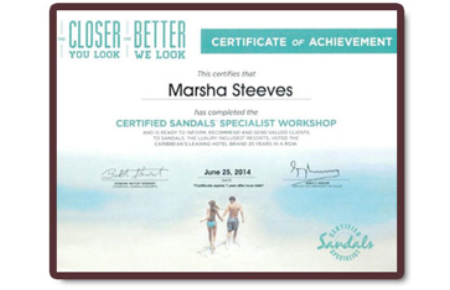 Marsha was invited to the Annual Travel Agents Award show for Sandals /Beaches Resorts.Spent 5 nights at Beaches. Travel agents were flown to Anti-gua for the day to inspect the “Sandals Antigua Resort. Cancun Mayan Riviera. Marsha and Goga her wedding planner oversaw a large Sikh wedding at the Beautiful Moon Palace. Also visited the “Grand Velas Riviera Maya” – over the top !! Cancun/ Riviera Maya, Mexico – Went down to oversea our Sikh wedding (92 guests) at the beautiful “Azul Sensatori Resort”. Promotional wedding stay tuned for a four page spread in Perfect wedding and a commericial coming soon! 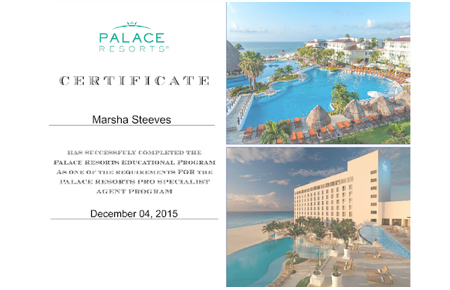 Also inspected Moon Palace and Dreams Riviera Cancun. Also indulged in a day at the spa at the luxury “Le Blanc Spa Resort ” . Disneyland , California. I visited the new revised “California Park” and “Car land” Disney’s newest addition. Known as the “Happiest Place on Earth !” (a place of retrieval for me and I believe the only true place where one can be a child again and escape to that land of fantasy if even for a moment. My favourite ride “It’s a small world”). A most magical experience and no it is certainly not just for kids! Sandals Bahamian, Nassau , Bahamas – Sandals Awards Conference. Highest producers of Sandals Resorts in the year. Inspections and award Dinner . Conference led by CEO Butch Stewart, Adam Stewart and Bobby Stewart. 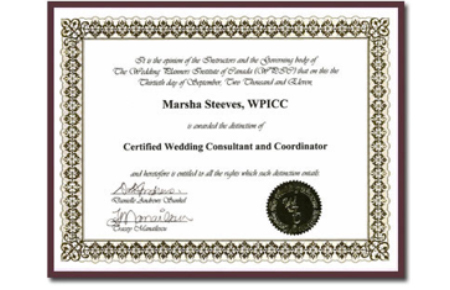 Weddings by Marsha Brown – Romance Manager. Cabo San Lucas, Mexico – Am Resorts – Dreams Cabo, Zoetry , Secrets Marquis , Riu Palace and site Inspection at Riu Santa Fe and the Me Cabo/ Nikki Beach. Rockies Familiarization Tour – Anderson Vacations , Columbia Ice fields, River Rafting – Kanaskis Edmonton Mall, Jasper – Float trip, Jasper Tramway, Banff – Athabasca Falls, Lake Louise, Calgary sites. Jamaica ‘Sandals’. All Inclusive Resorts: Dunns River, Montego Bay, Ocho Rios, Negril. Hedonism Resort. Hawaii Familiarization trip Oahu, Maui, Kauai. Repositioning Cruise – Vancouver to San Diego & Tag Days Fam trip – Anaheim/Disney Travel Agents. Arizona – Phoenix, Sedona. Las Vegas. World Tour: Hong Kong, Bangkok, Singapore, Indonesia, India, Israel, Egypt and Amsterdam. Extensive European Travel By Eurail Britain, Holland, Spain Italy and Germany.